Fratelli's has paved parking lots, with many entrances for easy exit. We have beauiful oak trees and large brick flower beds thought out the property. A grand Bell Tower imported from Europe, that plays real bells every hour. You can request the bells be played as guests arrive or depart. We can all so have Wedding ceremonies by the beautiful tower. We can play the wedding march on the grounds below the tower. 100 more spaces are availbale for our larger parties right out side our gardens. We have public transit right up front. Fratelli's has been catering for many years. We specialize in Italian, but our chefs can do other cuisine such as Mexican food or BBQ. Inside or outdoor events are welcome, we can cater from 30 to 400. Our private gardens add an extra elegance to any event. Custom menus are available. Our event coordinator can help with every detail; Continental breakfast to 5 course meals, Kids birthday parties and anniversaries, all day semimars and happy hours. We have a very professional staff that has worked with us for many years and take great pride in a job well done. Fratelli's has many different options for private dinning areas. Our highly trained event coordinator can help with bands, DJ s, cakes and decorations, or with every detail. Birthday - Anniversaries- Breakfast Meetings-Dinner Parties- Weddings and Rehearsal Dinners. For over 10 years Fratelli's has always been known for serving homemade pastas, seafood, and fine meats, that is still the same. Now Fratelli's is expanding into Spring Valley. New owners, same great recipes and service,with some new additions.The restaurant is quaint, very charming. The chefs have over 25 years of experience. Full service bar from the 1940's; a great part of Houston history. Serving award winning martinis, cosmos, Italian Ritas. Outside seating is available on our spacious patio. We all so have a area for the dog lovers in the neighborhood Wonderful wine list, Kid friendly menus, gluten free dishes. Elegant reception room, perfect for small parties of 20 up to 120 ppl. with a band or DJ. Birthday Corp.Meetings Graduation- All Day Seminars- Weddings Customized menus for all occasions. We cater all events fron 20 to 400 Fratelli's has a large garden area on site or we can come to you. Come experience the best. EAT YOUR PASTA! Easter brunch is here once again Sunday, celebrating our 10th year at this location . Featuring all of your great Fratelli's favorites and more. Salad station , Dessert station, Omelet station , Honey baked ham , Homemade soup and much much more. Drink specials all to share with family and friends. The mushroom soup was very salty;' however, everything else was excellent. A little noisy but part of that was our guest is noisy. One of our favorite neighborhood restaurants and we try to go there several times each month with friends. Specials are always great; however, due to the demand, they were out last Saturday. Our server, Tina, was A M A Z I N G! as was our meal! I’m gluten free and the chef prepared me an exceptional meal ( wedge salad, grilled redfish, polenta snd spinach). We will make this a regular. The food was delicious. The staff was very nice. I would recommend for birthday or special events. It is quiet enough that it is enjoyable. Great food and excellent service! We really enjoy eating at Fratelli's! I highly recommend you try it! They also have a wonderful bar and happy hour specials. Great food and service. One of our favorite places to dine and relax. The ambiance of the restaurant is just what you would hope to expect of a local Italian neighborhood restaurant. We were greeted warmly and seated promptly. We ended up going with most of what the server had suggested and the daily specials. The food was very good and the overall evening was memorable. We will return. Thank you! Yes, I would recommend to a friend. In fact, I have ...... several times. We went there tonight to celebrate a birthday (and it was my recommendation). The wine was served attentively, but not smotheringly. The food and service was great as always. Lovely setting. Clearly a local establishment filled with local regulars. Food was above average. The regulars probably know what the best dishes are. Rob is excellent as singer, entertainer and host. The service was slow. I think they were overwhelmed with customers for a week night. I like the neighborhood atmosphere of Fratelli's; however, I felt like the food was rushed. No time to finish the salad course before the entrée arrived. It was just too fast. Then it was very slow getting the check and, afterwards, getting the waiter's attention to pay the bill. Food was wonderful. It’s a lovely find in Spring Branch. Reliably good food and nice service. Fratelli's was the first restaurant in a long time where we could actually has a conversation and hear each other. The food and service were great. We will definitely come back. we will go back as we have many times. This is plenty to say-do not need 50. We had a very enjoyable dinner. The good was very good and the service was excellent. Manager came by and thanked us for coming in. We will be back. Reservation was made for our Daughter's Bday. No one said Happy Bday to her until I said it's her B-day. Why ask what is occasion on reservation request if no one reads it. Our Daughter's Bday dinner was disappointing. Food was good, service was just okay and was forced to pay $27 tip. Just not worth it. Great neighborhood restaurant, excellent food,, service and environment. On Friday's there is live music as well. We want to come back! 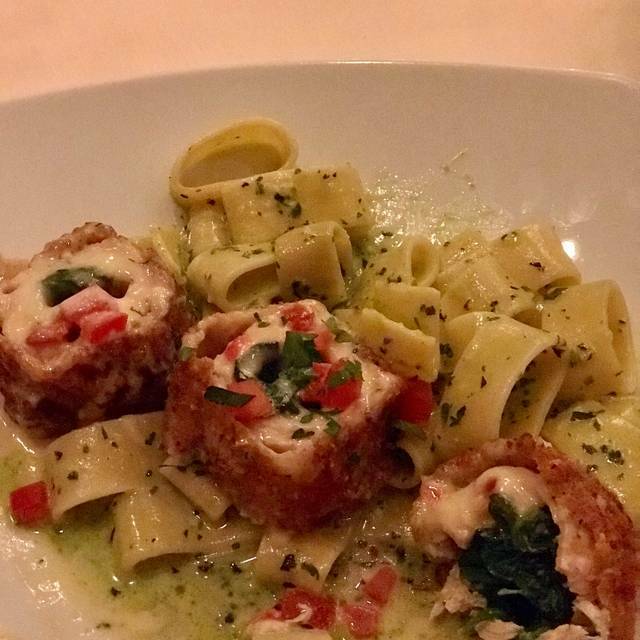 We've been going to Fratelli's for years and it is one of our favorite restaurants by far. It's great to have such a high quality dining place in our neighborhood. Thank you Barbara and the entire team. Long may you prosper. Excellent food and lovely service, nice people. A bit tight fitting, jostled by the passing waiter on several occasions. Said that it was for a birthday celebration but that fact was never acknowledged by anyone. The owner/manager stopped by several tables and spoke to dinners but not ours even though all dishes had been removed and we were just waiting for the check. Really enjoyed this! Food was outstanding. This is a great restaurant. The food is so delicious. I have been a fan of Mark Cox for years. Exceptional neighborhood gem of a restaurant! Tina makes it extra special. Have never had a bad meal or experience. Great happy hour in the bar. Ciopinno fish soup with lovely fresh seafood is oustanding, pasta selection in white wine sauce, fresh seafood lovely. Also took thin crust pizza home for breakfast & was perfect brunch. Good wine selection. All the parking spots were for other businesses. Great ambience, service and food. I thought the Chicken Piccata I ordered was full of flavor, however, the chicken breast was slightly overcooked and bordering on dry. I also ordered the wedge salad, which I enjoyed. For those who are gluten free they do have gluten free pasta available. My friend ordered the redfish and it was outstanding. 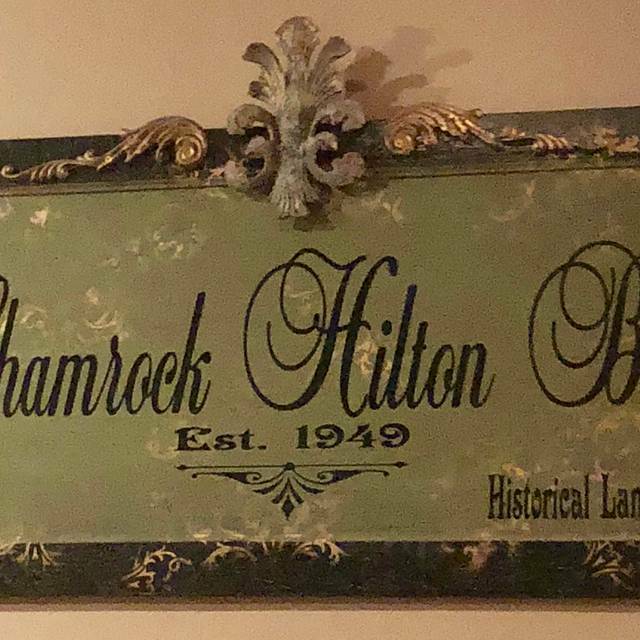 I love the decor, the live music in the bar area was excellent, and the wait staff was very friendly, welcoming and accommodating. I think its a charming restaurant and I'd like to visit again in the future. It always feels like going to a friends house! We both ordered the wedge salad. Divine! One of the best ever. I had the Pasta Carbonara. Average. My husband had the redfish. Very good but a little skimpy on the lump crab meat. Our server was okay. Met expectations. We are glad to have tried it since the chef from Mark’s arrived. Not sure we’ll be back often. Fratelli's is a fabulous neighborhood style Italian restaurant, with a welcoming staff, great ambiance, great food and wine menu and an overall great experience. I recommend it highly to anyone and we look for opportunities to come and introduce our friends (no matter what part of the city they live in) to this fine eating experience!! 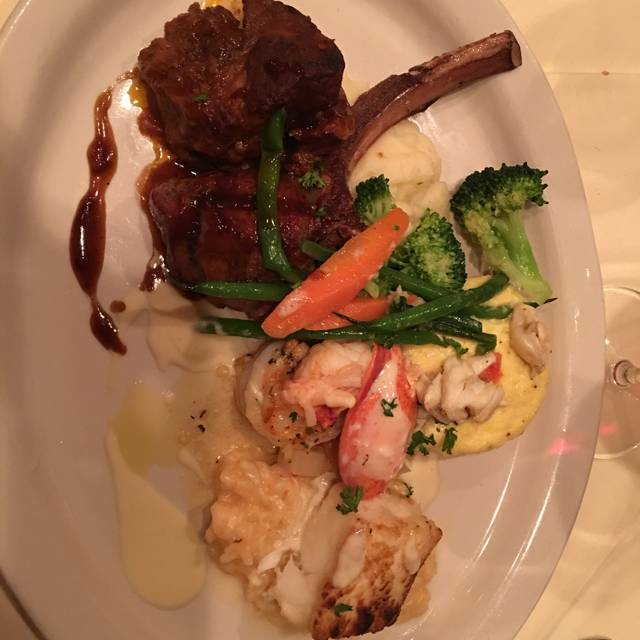 Fratellis is one of our go to restaurants and we have a wonderful time. Unfortunately, our last visit must have been an off night as the experience was sub-par. The food was bland and the service mediocre. Chuck (the chef) has left and we hope he didn’t take all of the magic with him. Hopefully this was an anomaly - we will see. Food was good, environment was nice, service was lacking. My only complaint was the service, our waiter was a little slow to arrive to our table and after taking our order he checked in on us only once and that was to ask if we wanted dessert. Would be willing to try it again, maybe it was just an off night. Very good. Creative chef who does great tasting dishes you can't find elsewhere. Very Friendly and knowledgeable wait staff. The food was good and as described. Wonderful atmosphere and one can actually hold and hear table conversation. Highly recommend.